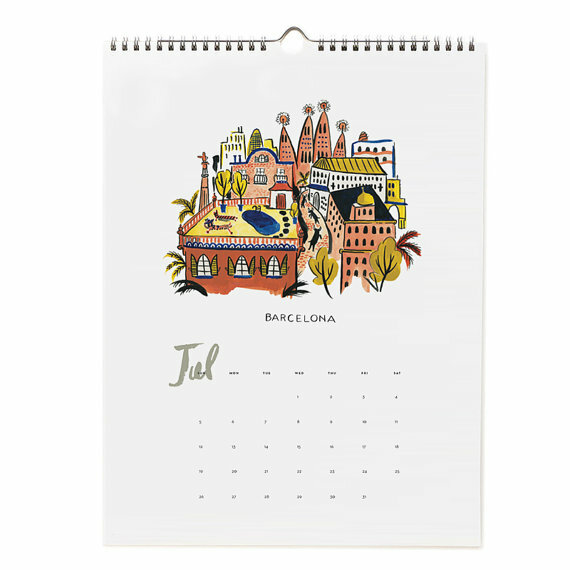 Calendars seem like a big commitment purchase for me. You’re stuck with it all year, you know? 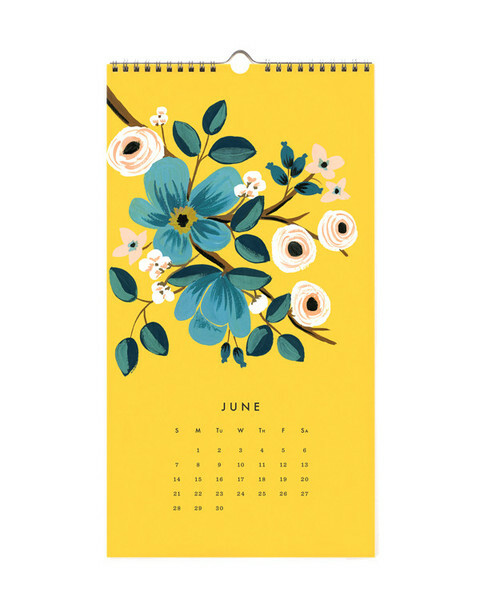 Last year I did good in picking this gorgeous one, which doubles to create 8×10 size prints once you’re done with the calendar part, which I think is so genius. 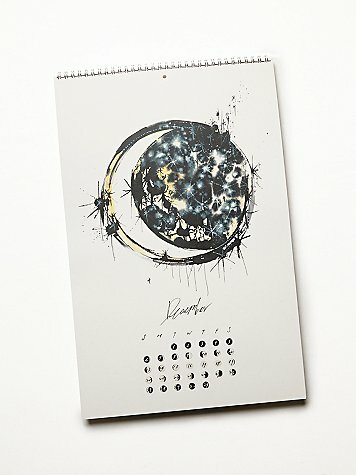 If I’m being honest, I didn’t even hang it up as a calendar, I really just loved the art! I can’t wait to hang some of them. 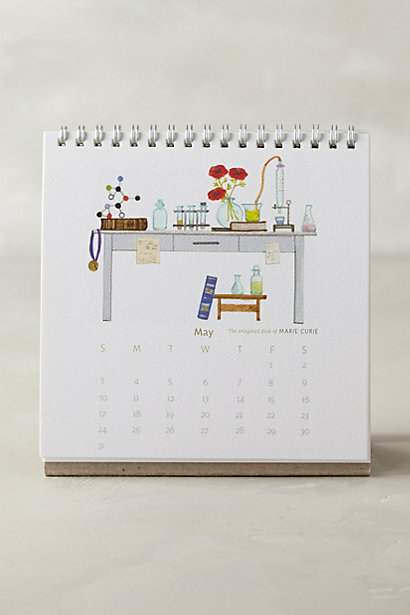 Honey Bee via Rifle Paper Co.
Make a custom photo calendar with Artifact Uprising. 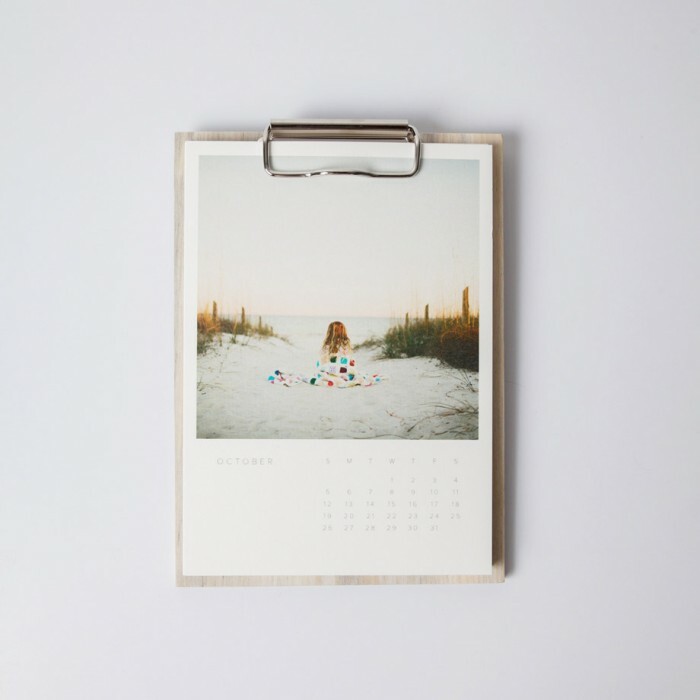 When the month is done, cut off the calendar and keep the prints to post or frame! 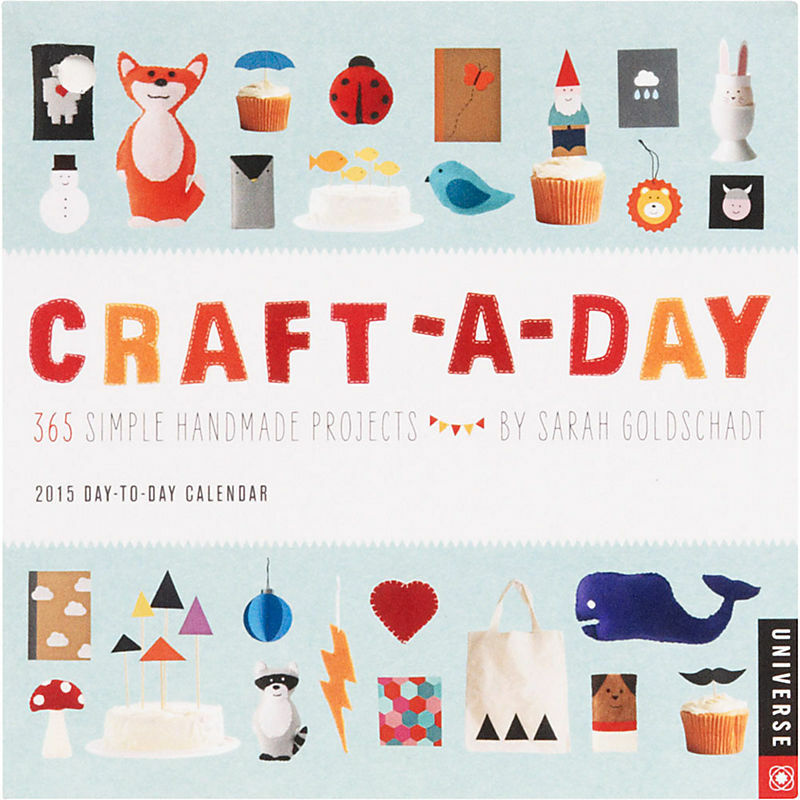 Inspire creativity with this Craft-A-Day Calendar from Paper Source. The Imagined Desks of Historic Women – I love this! 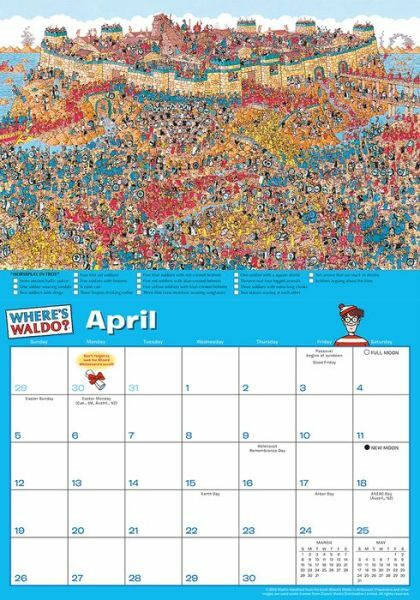 If you need a little fun in your life, try the Where’s Waldo Wall Calendar via Barnes & Noble. 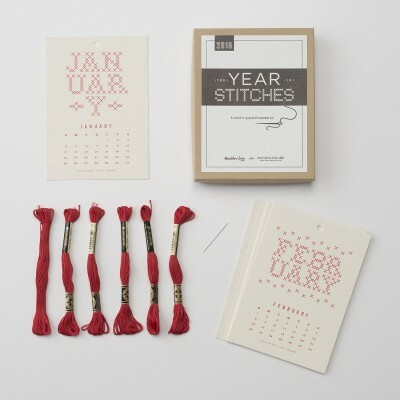 This one would make an awesome gift for knitters! Get it from Schoolhouse Electric. 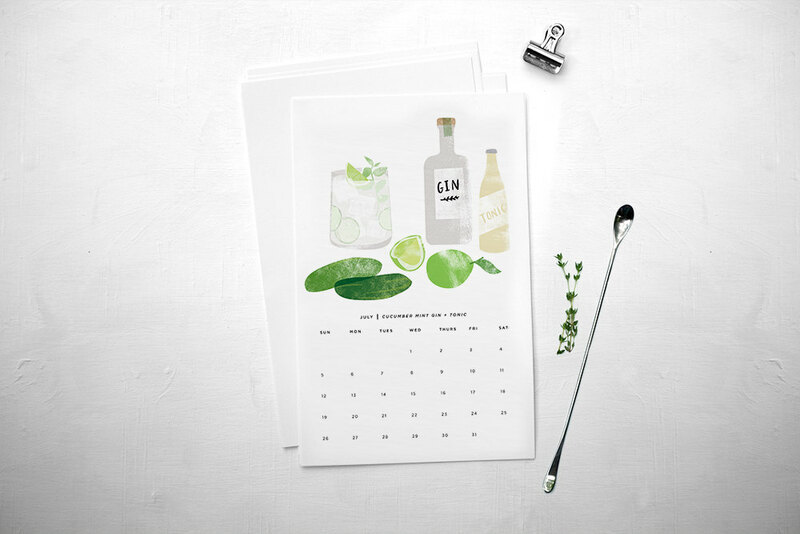 Count down to happy hour with the Stir & Shake calendar‘s beautiful cocktail ingredients. Gift idea: use the illustrations to accompany recipes for each libation and include with a box of bar-themed gifts like a shaker, stirrer, glasses, and a bottle of liquor and liqueurs. Throw in fresh fruit or herbs for good measure! 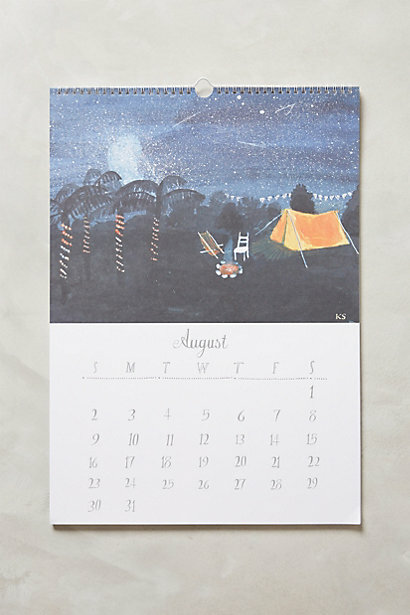 For the adventurous dreamer, Imaginary Travels. These would be so great framed in a kid’s room! 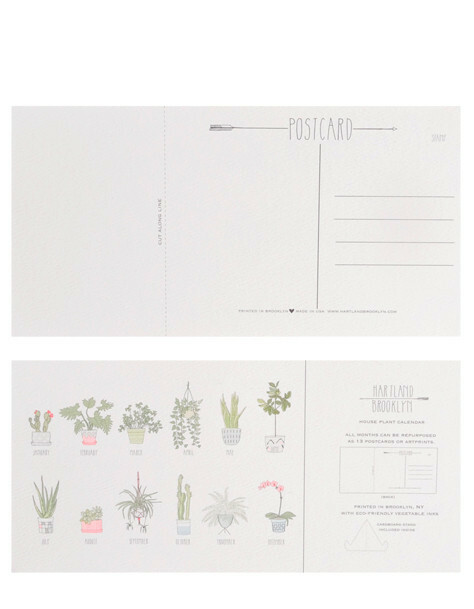 Houseplant Postcard Calendar – just cut off the calendar and send a happy note to a friend or use as a gift tag with to accompany small houseplant. 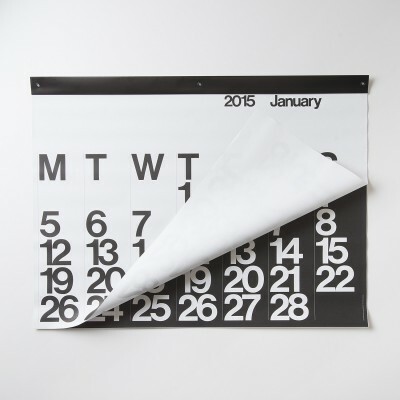 The Stendig is a bold, black and white classic that you can tear-away each month and use as gift wrap.